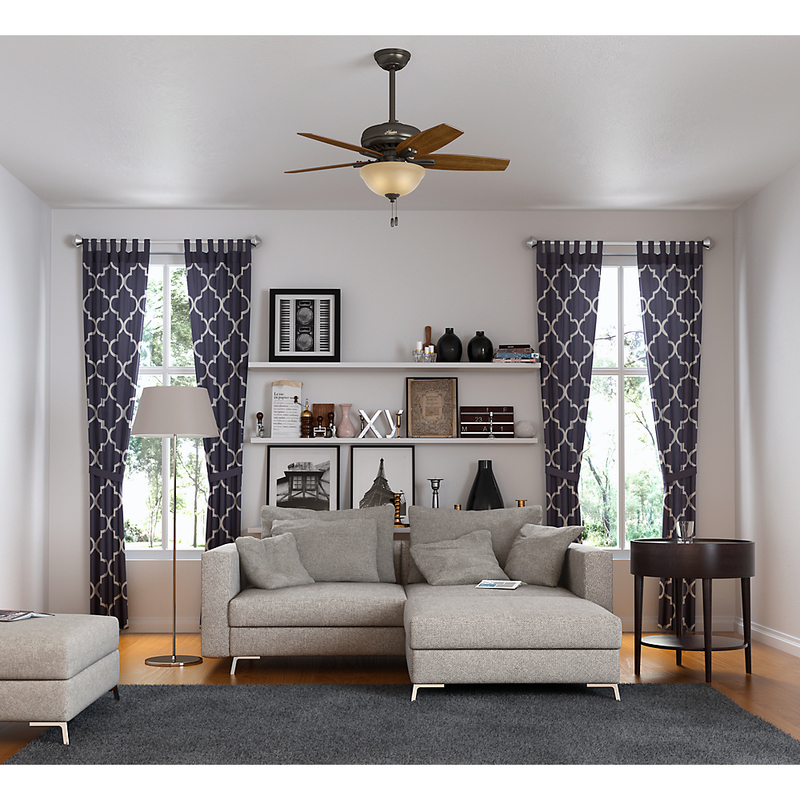 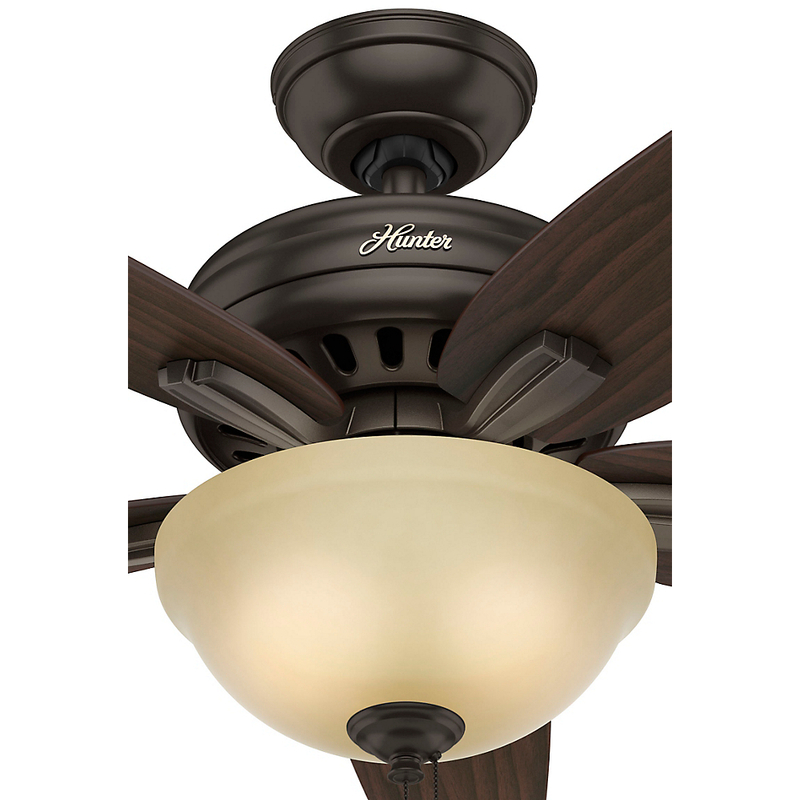 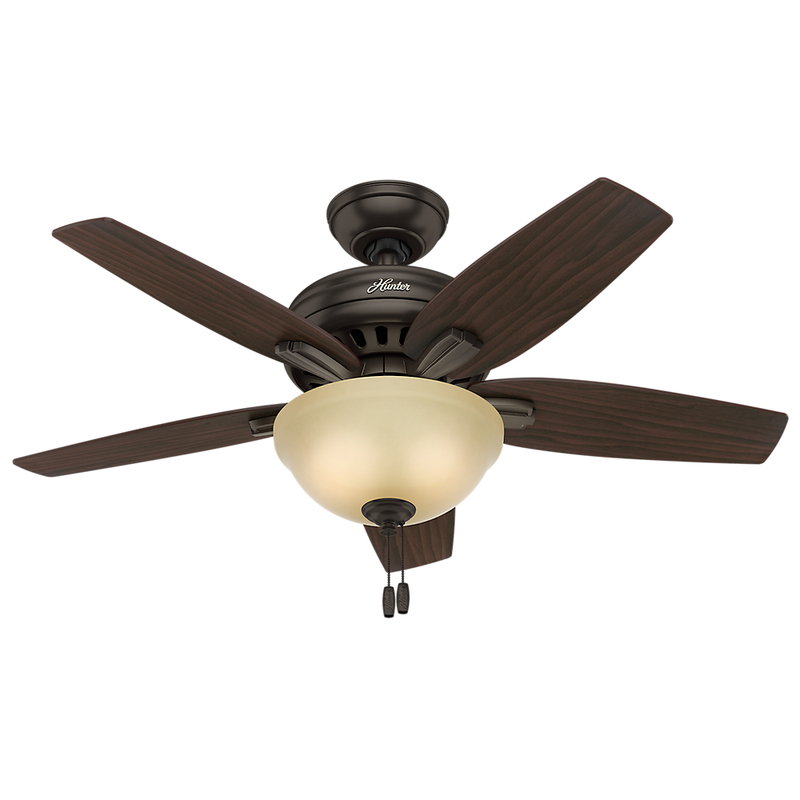 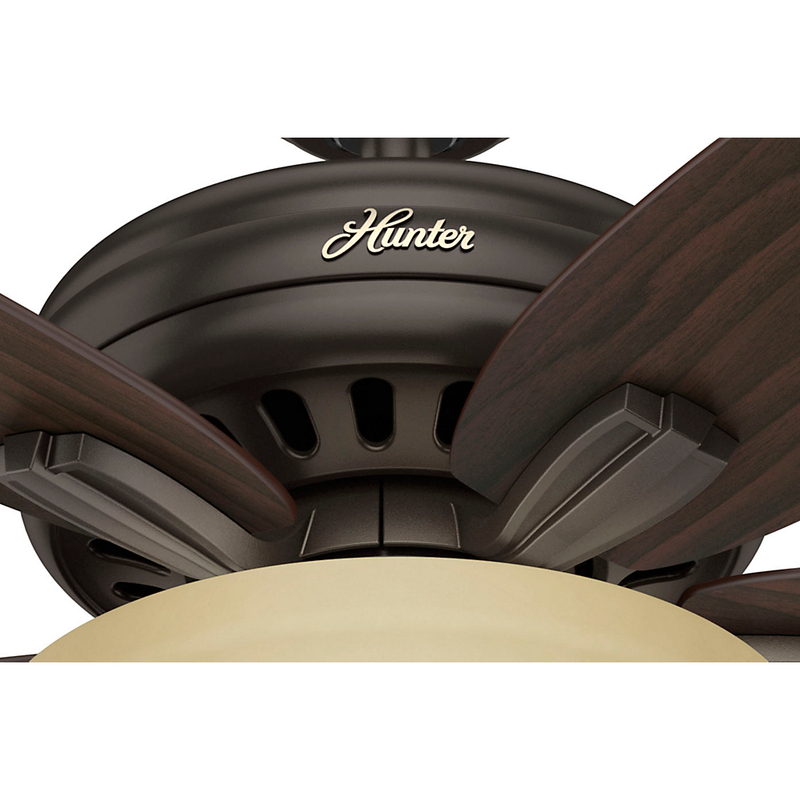 Charming ceiling fan with a low-profile motor housing. 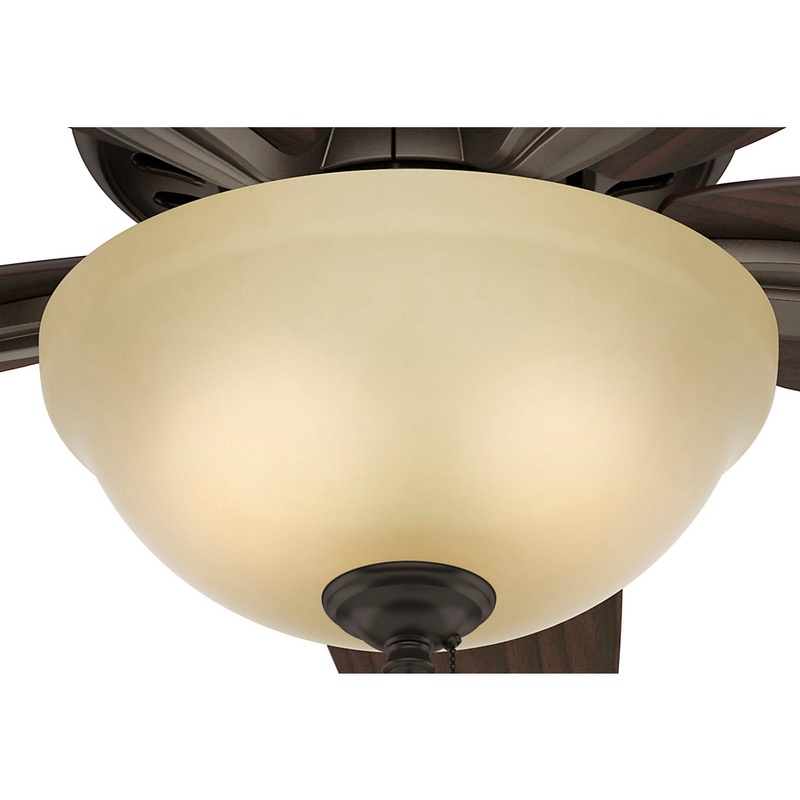 The optional light kit includes a bowl in frosted amber glass that uses two 13W standard medium based CFL bulbs which are also included. 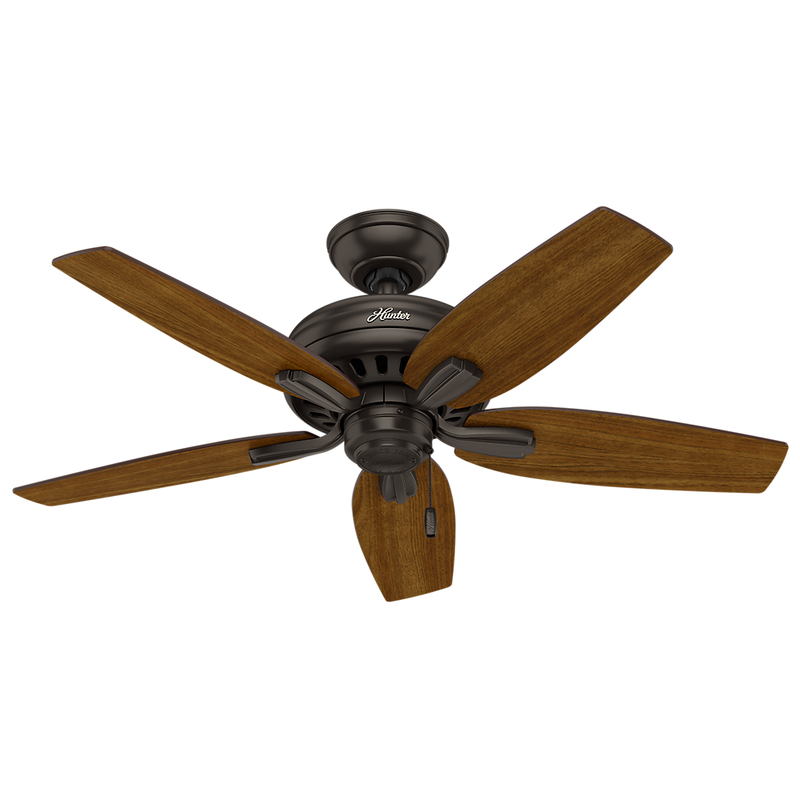 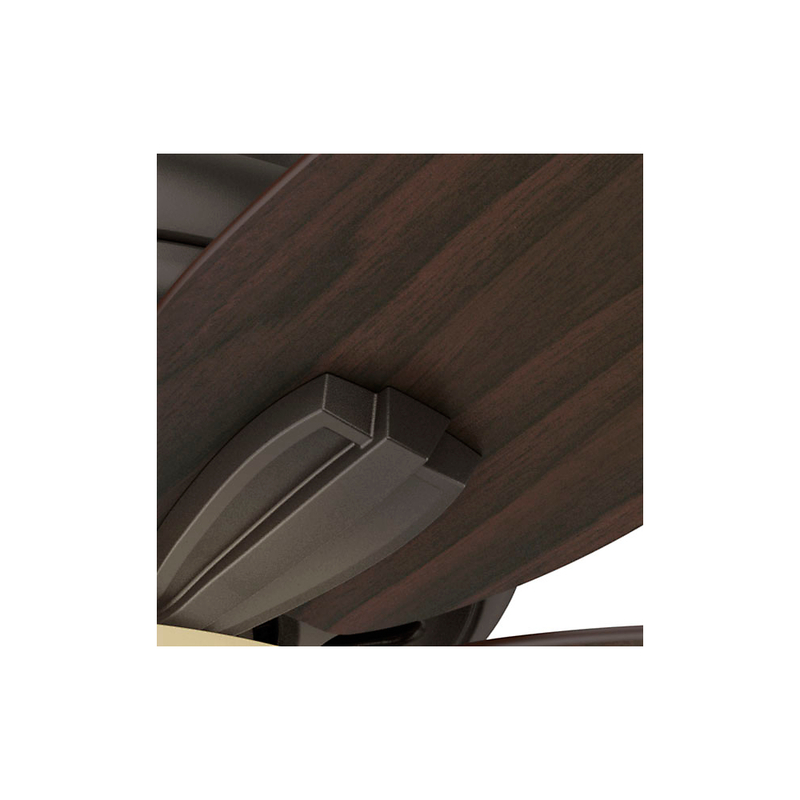 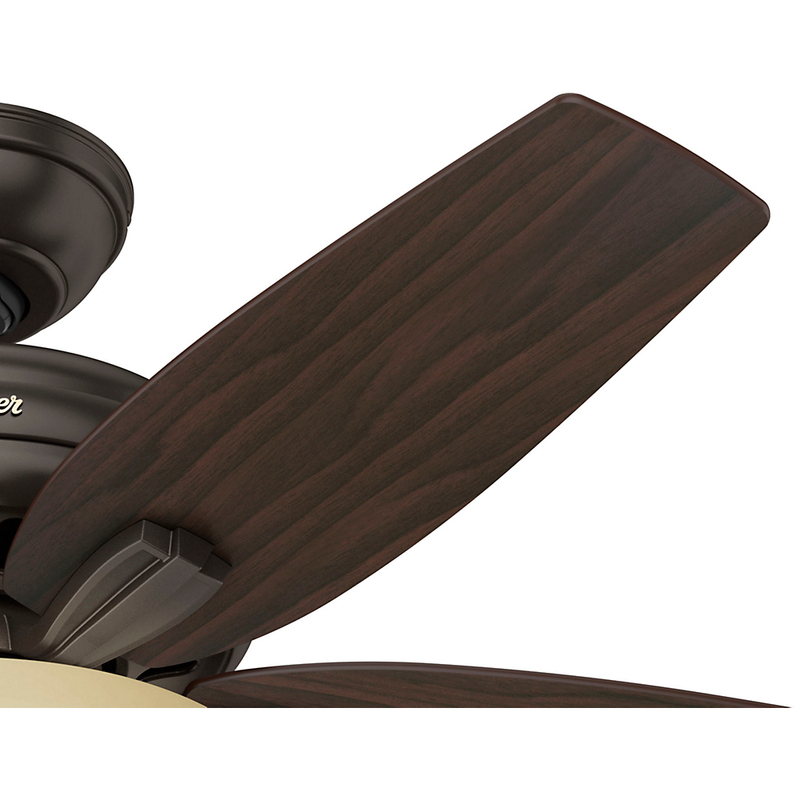 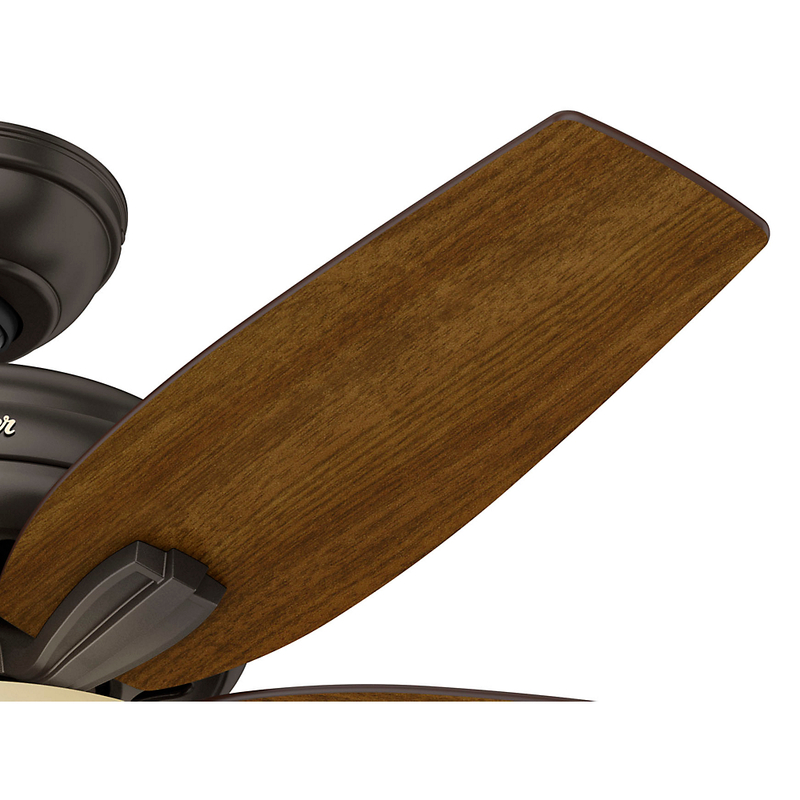 The brushed nickel finish is combined with 5 Roasted Walnut / Yellow Walnut Reversible blades.